Cities are trying to figure out how to rein in the frenzied introduction of electric scooters, and that includes outright bans of the vehicles. Bird, one of the main scooter-centric startups, filed a lawsuit last Thursday to overturn a ban implemented this summer by the City of Beverly Hills, reports the Los Angeles Times. “Anywhere there’s a ban in California, it’s illegal,” Bird’s chief legal officer, David Estrada, said in an interview Thursday, adding that the company will “aggressively review” bans in other cities. Bird’s explosive growth in Southern California over the last year has sparked controversy in cities where the electric-powered scooters appeared with little warning. Elected officials in West Hollywood, El Segundo and Ventura have moved to ban the scooters supplied by Bird and its main competitor, Lime. The case takes aim at the Beverly Hills City Council’s decision to ban the scooters by alleging it violated California laws, “including a clause that gives motorized scooter riders the same rights on the road as drivers, bicyclists and motorcycle riders,” the Times reports. 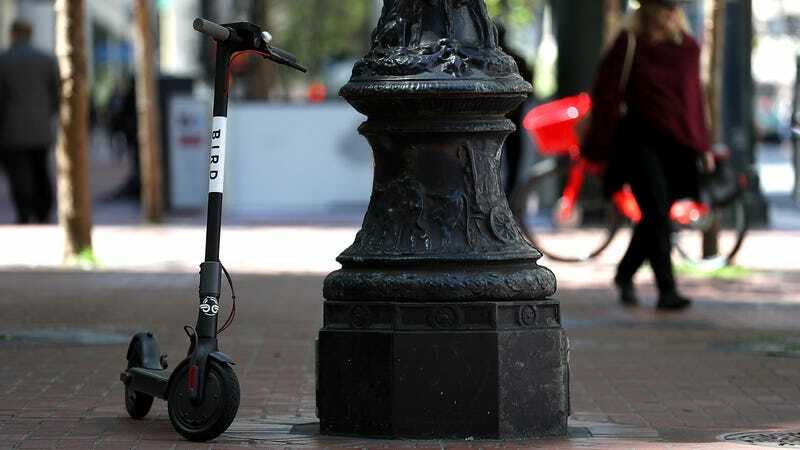 The complaint also alleges that the city’s police department violated Bird’s due process rights by charging the company more than $100,000 to get 1,000 scooters back from the pound. Beverly Hills couldn’t comment on the suit to the Times, with a spokesperson saying the city had yet to see the suit. One possible solution to prevent this sort of legal dust-up would be for scooter startups to actually work with cities before flooding the streets with them. But, of course, like Uber and Lyft before them, that’s exactly what they wanted: get the vehicles on the streets first, then figure out the legal stuff later. Will E-Scooters Be a Disaster For New York City?